School is right around the corner. 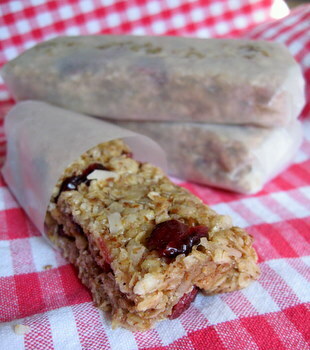 Keep your kids eating healthy with these homemade vegan granola bars. They are super nutritious, and as always, delicious. They will keep your kids feeling energized and full all day, helping them to focus in class and come home with fun filled stories about what they learned that day. Preheat the oven to 350 degrees. Combine all the ingredients together in a large bowl. Spoon the mixture into a baking pan (size recommended: 9 x 13 inch pan) and spread it out evenly. Bake for 15 minutes. Let the granola bars cool completely before cutting and wrapping. After getting a first taste, your kids (and you!) won’t be able to get enough of these granola bars. They are that good! Enjoy. This recipe comes to us from grouprecipes.com and has been modified to ensure that you are putting the absolute best into your body. Treat your body right, you deserve it. this looks good. Can these be frozen? Absolutely, they can keep for a very long time if frozen in an airtight container.